Adptor-10 See list of aircraft below. Complete Hook-Up Kit for YAK-52 with Asymmetrical Axle Openings. Kit includes 1 set of 2 adaptors. 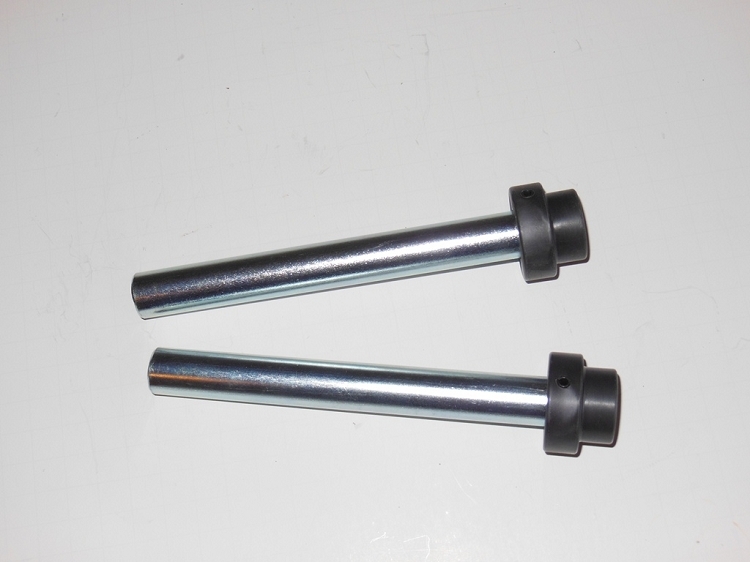 Adaptors are steel shafts with nylon tips. Adaptor tips fit into axle openings. 1 Pilot Side Adaptor is1" diameter and the Passenger Side is 1.12" diameter to accomodate tapering axle. Please measure your axle openings as some models may be different. If your plane does not have a tapering axle please call us or send an email to sales@powertow.com. Complete Hook-Up Kit for YAK-52 with Tapering Axle.